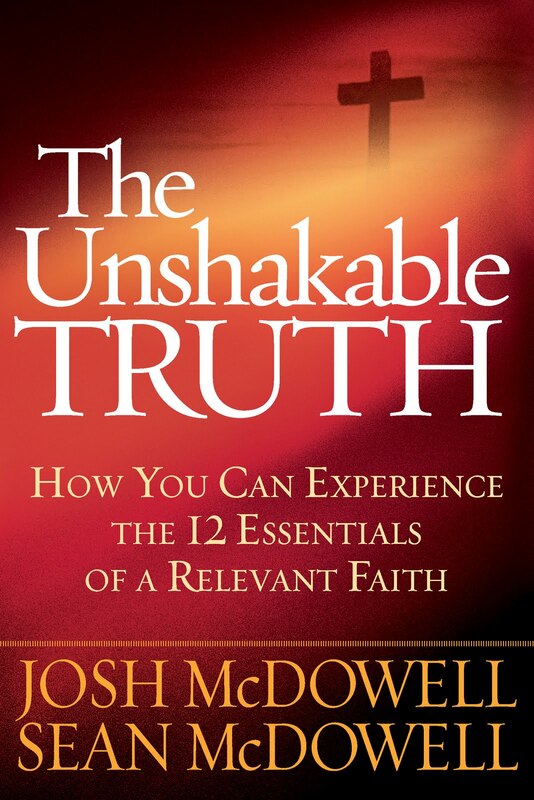 , Josh & Sean McDowell provide explanations lay people can use to better communicate their faith. As I have found during my reading of the book (I’ve not finished it yet), it is also better helping me clarify my feeling and emotions into thought. If you have ever struggled with explaining your faith in God and Jesus, then you want this book. 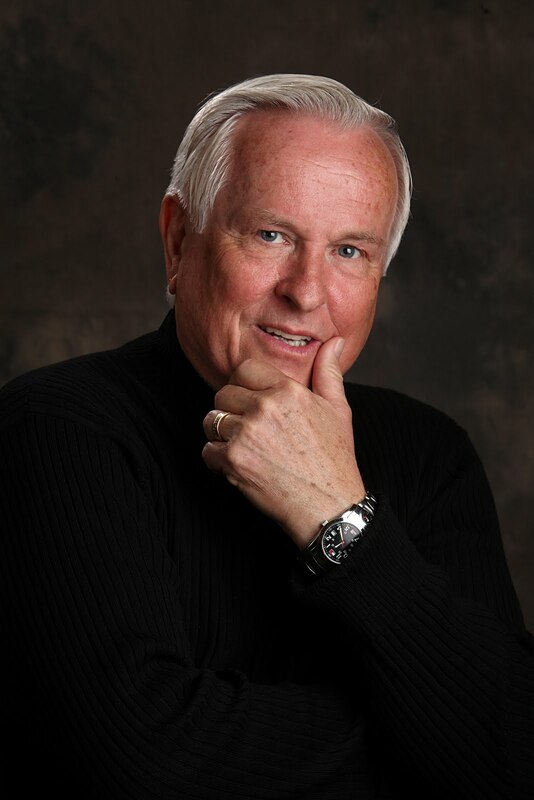 Over 40-plus years, Josh McDowell has spoken to more than 10 million people in 115 countries about the evidence for Christianity and the difference the Christian faith makes in the world. He has authored or coauthored more than 110 books (with more than 51 million copies in print), including such classics as More Than a Carpenter and New Evidence That Demands a Verdict. 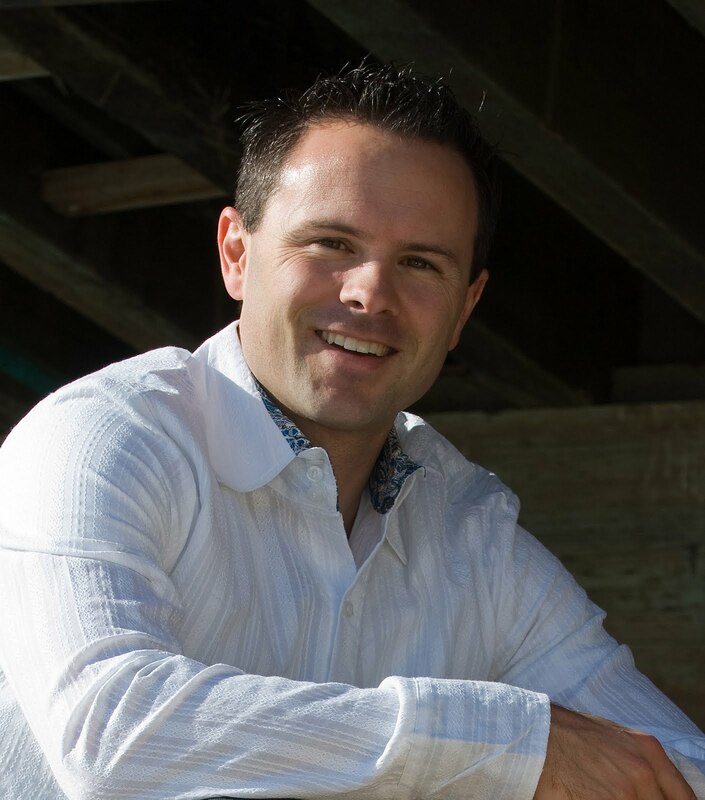 Sean McDowell is an educator and a popular speaker at schools, churches, and conferences nationwide. He is the author of Ethix: Being Bold in a Whatever World, the coauthor of Understanding Intelligent Design and Evidence for the Resurrection, and general editor of The Apologetics Study Bible for Students. He is currently pursuing a PhD in apologetics and worldview studies. Deep down all of us want to be happy. We want to live a satisfying life, a life of joy and contentment. Actually, God wants us to enjoy that as well. Jesus said, “I have told you this so that my joy may be in you and that your joy may be complete” (John 15:11 niv). Yet the quest for deep happiness often eludes us. Webster’s dictionary defines happiness as “a pleasurable or satisfying experience.” Happiness is often equated with pleasurable feelings. And of course there’s nothing inherently wrong with pleasurable satisfaction, except in how we pursue it. I (Sean, Josh’s son and co-author) work as an educator. When I ask my students what they want most in their lives, their typical response is “happiness.” I ask them to define happiness, and most of them tell me that happiness is people feeling good and having fun. Many of us would define it that way. If happiness is about a pleasurable feeling or experience of fun, then it should follow that the greater number of fun experiences we have, the happier we become. But somehow, it doesn’t seem to work out that way. For example, the earning power of the baby boomers increased dramatically over that of any previous generation in history. They have had more money, more leisure time, more access to sports, travel, and entertainment than any society has ever experienced. And yet according to happiness expert Dr. Martin Seligman, baby boomers experienced a tenfold increase in depression over any previous generation. The reason for the depression, Dr. Seligman concludes, was that people began a shift toward a focus on self. If happiness is having an internal feeling of fun or pleasurable satisfaction, and if it is our main goal, where will we place our focus all day long? The focus will be on us, and the result will be a culture of self-absorbed individuals who can’t live for something larger than we are. Yet this is the current life philosophy that most people have bought into: The individual always comes first, with the number-one virtue being to feel good about yourself. The culture tells you to “be yourself, believe in yourself, express yourself.” That’s why we have YouTube and MySpace. Self, self, self. The prevailing view is that you do what it takes to feel good about yourself because that’s the most important thing in the world. That is the way to find happiness. To some degree or another most of us have bought into that viewpoint. And it’s easy to understand why. If the goal is happiness, then why shouldn’t we pursue the things that will give us pleasure and thus make us happy? Jesus, however, has another view on achieving genuine happiness and joy—one that encompasses a whole different set of priorities. Instead of seeking our happiness first, Jesus tells us to put him and his kingdom first (Matthew 6:33). He says we must die to ourselves; that to find our life we must lose it; essentially, that we must look beyond ourselves and pursue him first. In reading such things, many people wonder how we can expect to be happy if we set aside our quest for what gives us pleasure and follow someone who asks us for our total commitment. As a result, they think Christianity might spoil all their fun. This is emphatically not the case. Jesus said he was “the way, the truth, and the life” (John 14:6) and our source of genuine happiness. According to Jesus, happiness is not based upon a certain feeling. Instead, it is a sense of contentment, peace, and joy that transcends our circumstances and feelings. When Jesus said that his joy would be in us and our joy would be complete, he was defining the true way to happiness—a happiness that does not fade, but grows and expands into true and lasting joy. He was saying to focus on him and his way—his view of the world. And by doing this we would understand who we are, and thus we would experience our identity as a person of value and worth. We would realize why we are here, and thus we would experience our purpose and meaning in life. We would know where we are going, and thus we would experience our destiny and mission in a life larger than ourselves. And in this process we will find we have attained something much bigger and better than the way our culture understands happiness, which is based on the pleasure of the moment. We will find true, deep, satisfying, and lasting joy. It will be a joy that remains intact through all of life, with or without pleasures, through ups and downs, through pains, sorrows, and losses. That is something we all want. The way to achieve this lasting joy is to buy into Jesus’ idea of life—that is, his worldview. A worldview is what we assume to be true about the basic makeup of our world. A worldview is like a mental map of reality. We believe certain things about ourselves and God and life, and then we interpret our experiences through them. Everyone has a worldview, even though not everyone realizes they have one. Jesus’ worldview—his view of life—is called a biblical worldview. Embracing a biblical worldview means understanding and living life from God’s perspective. It means understanding what we were meant to know and be and how we were meant to live. This biblical worldview works because it explains the truth about God and about us. That is what Jesus and the whole of Scripture does—it gives us the truth about life and happiness, and the power to live according to the kingdom of God. As J.P. This is why truth is so powerful. It allows us to cooperate with reality, whether spiritual or physical, and tap into its power. As we learn to think correctly about God, specific scriptural teachings, the soul, or other important aspects of a Christian worldview, we are placed in touch with God and those realities. Nothing works right unless it conforms to reality. A plane flies because engineers design its shape to conform to the realities of airflow and gravity. A boat floats because its designers shaped it to conform to the realities of water displacement. Try to fly a boat or float a plane and the results will be disastrous. It’s the same with your life. If you want a significant life, you must run your life in accordance with what it was designed to do. Your life was created to work properly when it conforms to the reality of its purpose. And God has gone to great lengths to show us the reality of our purpose, which is diametrically opposed to how our culture understands happiness. He tells us that when we abandon self-absorption we will find significance. When we seek first His kingdom, all these things will be added unto us (Matthew 6:33). When we find the meaning he intends for our lives, we will gain a deep contentment even in the middle of the pain, loss, and abandonment that characterizes our fallen world. This is why it is vitally important to adopt God’s perspective on life. This, and only this, is the path to genuine happiness and deep, lasting joy. As a teenager, I (Josh) began my quest for happiness down the wrong path. Yet I sincerely wanted the answers to Who am I? Why am I here? Where am I going? So I started searching for answers. I certainly didn’t find answers at home. My father was the town drunk. I grew up watching in fear and horror as my father beat my mother and wreaked havoc at home. I experienced sexual abuse from a man named Wayne, whom my parents hired as a part-time cook and housekeeper. As I got older I eventually told my mother about what Wayne was doing, but she didn’t believe me. I can’t describe to you the pain of abandonment I felt when my mother refused to believe me. Also, growing up I never remember my father saying that he loved me. The only love I ever felt was from a struggling, abused mother who died suddenly when I was a teenager. So my home was not a place to find answers or happiness. In the small Michigan community in which I grew up, everyone seemed to be into religion, so my search started there. I really got into the church scene. But I must have picked the wrong church, because I felt worse inside the church than I did outside. So I gave up on the church to provide me any answers. Then I thought that education might have the answers, so I enrolled in a university. I soon became unpopular with my professors because I hounded them with so many questions. But I learned that my professors had just as many problems, frustrations, and unanswered questions as I did. I remember seeing a student wearing a T-shirt that read, Don’t follow me, I’m lost. That’s how everyone at the university seemed to me. I concluded education wasn’t the answer. Next, I tried prestige. I thought I could find a noble cause, commit to it, and in the process become well known. So I ran for various student offices. It was great at first. People got to know me and I enjoyed spending the university’s money getting the speakers I wanted. I also liked the idea of spending the students’ money for throwing parties. But the prestige thing soon wore off. I would wake up on Monday morning, usually with a headache from the night before, dreading the next five days. I endured Monday through Friday just to experience the party nights on the weekend. But every Monday brought the meaningless cycle all over again. About that time I noticed a small group of people who seemed different from the others. They appeared to know who they were and where they were going. They had a clear set of convictions about what they believed. And what really stood out was that they appeared to be genuinely happy. Their happiness and joy wasn’t like mine, which was dependent on my circumstances. I was happy only when things were going great—when I was having “fun.” But they seemed to possess an inner source of joy that I longed for, and I wondered where it came from. She and her friends went on to explain that a relationship with God through Jesus Christ offered what I would come to know as a biblical worldview. They told me it was Christ and his worldview—seeing everything from a biblical perspective—that would answer all the questions I had. They didn’t offer to walk me through a shallow prayer or get me to go to “church meetings.” What they did was challenge me to intellectually examine the claims of Jesus and to determine, in essence, whether God’s worldview written in Scripture was credible. I accepted their challenge out of pride. I wanted to prove Christianity was a farce. What I discovered was that I was the farce. My quest for happiness and meaning was found in Christ. Most people who know my testimony know I set out to disprove Christianity, and they assume I came to Christ through the intellectual route. They think my examination of the evidence of Christ’s deity, his resurrection, and the reliability of Scripture convinced me that God had spoken and that it offered me a worldview that would establish my identity, purpose, and meaning in life—and therefore I trusted in Christ. Truth is, all the evidence I have documented in my books did not bring me into a relationship with Christ. The convincing evidence certainly got my attention, but it was God’s love that drew me to him. I saw love between a group of Jesus-followers who devoted themselves to God and one another. And God demonstrated his love to me through them. Through the power of the Holy Spirit my life was transformed through a relationship with God. I discovered a whole new way of thinking and living that brought pure joy. This new way of thinking and living was possible as God empowered me to live out truth from his perspective—a biblical worldview. Answering these questions that we find on the lips of so many Christians is our first purpose in writing this handbook. We want to demonstrate a way to experience the happiness and joy that every person desires and that God wants us to have. We also have a second purpose in writing this handbook. The fear of the culture capturing our kids is real. This handbook is designed to better ground you in the essentials of the faith in a way that provides a greater understanding of what you believe, why you believe it, and how it brings you a deeper joy in life. That understanding in and of itself will serve as a platform to successfully instill a robust and active Christianity in the lives of the next generation. We know that passing on the faith is a real and vital need. And it doesn’t happen automatically. Marsha hugged her son as he prepared to leave. “It’s been nice having you home again, honey,” she said. “Well, it’s true!” Sarah said. Greg moved on out the door as Sarah helped him with his things. Marsha and Mike stepped onto the porch and watched their son walk toward the car. “We’ll be praying for you, son,” Mike called. “Thanks, Dad,” Greg responded with a chuckle. Marsha and Mike watched in silence as he backed down the drive and waved to them as he drove away. “I hope we’re not losing our son,” Marsha said. If we hear one dominating and recurring theme among the many church leaders and families we come in contact with, it’s the fear that Mike expresses above. There is a deep, abiding fear among Christian parents that their kids, having been raised in a Christian family and having spent their childhood and teenage years in the church, will nonetheless walk away from God. The problem is, this fear is becoming a reality. Presently, within ten years of entering adulthood, most teens professing to be Christians will walk away from the church and put whatever commitment they made to Christ on the shelf. This doesn’t mean all our young people are rejecting God outright and becoming atheists. That’s not the case. It’s that they are adopting beliefs and a worldview that are definitely not “the faith which was once for all handed down to the saints” (Jude 3 nasb). A large portion of young people today would echo Greg’s remark to his dad: “God is still important to me, I just believe some different things than you.” These differences, often referred to as the generation gap, are wider and deeper today than ever before. According to a recent Pew Research Center study, almost 80 percent of adults see a difference between the beliefs and points of view of young people and themselves. Asked to identify where older and younger people differ the most, 47 percent pinpointed the areas of social values and morality. 48 percent believe that many religions are true. Students are continually told by today’s culture that the Bible is unreliable, that Jesus was no different than any other religious figure, and that anyone who asserts there is an objective truth that shapes a worldview is intolerant and a bigot. It is very hard for young people to stand up against such pressures unless they are fully equipped, as the apostle Peter said, “always being ready to make a defense to everyone who asks you to give an account for the hope that is in you” (1 Peter 3:15 nasb). The truth is, few are equipped and ready to face a world that is increasingly hostile to Christianity. The young people our organization has studied spend between 27 and 33 hours per week using communication technology—gaming, watching television and movies, text messaging, instant messaging, and surfing the internet. In short, they’re overwhelmed with information. Information overload breaks down a person’s capacity for discernment. For example, C. John Sommerville argued that the 24-hour news cycle actually makes us dumber, not smarter. It presents so much information that we find it impossible to figure out what is truly important. With shopping and surfing available 24 hours a day young adults believe they can have whatever they want, whenever they want, however they want, and with whomever they want to have it. Nothing is more than a few clicks away. Here’s the paradox: when there is nothing more to see or do, there is nothing more to look forward to. It’s easy to see why surveys of young adults pick up high levels of hopelessness, distrust, cynicism, and boredom. The task may not be easy, but if ever there was a time to make a concerted effort to instill a biblical worldview into the next generation—a way to think from a biblical perspective—it’s now. Their misconceptions and distorted views of what is important in life and what brings happiness and joy must be addressed. The consequences of failing to tackle this problem head-on are disheartening. Young people must be led to align their beliefs and behavior with ultimate reality, which means, in essence, to adopt the biblical view of the world as their guiding principle. In The Scandal of the Evangelical Conscience, author Ron Sider concludes that people who have a biblical worldview live differently—in ways that are highly significant to the temptations today’s youth face. They are nine times more likely to avoid “adult only” material on the Internet, three times as likely not to use tobacco products, and twice as likely to volunteer to help the poor. What people believe about God, truth, and the world around them (for example, a biblical worldview), makes a tangible difference in the way they live. Some might think their young people won’t respond positively to addressing their beliefs and challenging them to examine why they believe what they believe. Some think that all today’s kids want is to deal with relationships and what they can experience emotionally. This simply is not the case. In the recent “National Study of Youth and Religion,” thousands of nonreligious teenagers said they were raised to be “religious” but had become “nonreligious.” These teenagers were asked, “Why did you fall away from the faith in which you were raised?” They were given no set of answers to pick from; it was simply an open-ended question. The most common answer—given by 32 percent of the respondents—was intellectual skepticism. That is a very high percentage given the fact that this was an open-ended question. Their answers included such statements as “It didn’t make sense to me”; “Some stuff is too far-fetched for me to believe in”; “I think scientifically there is no real proof”; and “There were too many questions that can’t be answered.” Our kids want answers they can grapple with in their minds as well as in their hearts. When it comes to spiritual and character formation, Scripture attaches great importance to training the mind. “Do not conform any longer to the pattern of this world,” Paul states. “But be transformed by the renewing of your mind” (Romans 12:2 niv). All of us want our kids to be equipped in mind, spirit, and character, able to resist the pressures of this increasingly godless culture so that no matter what temptations and opposition they face, they will live lives we can be proud of—lives that are pleasing to God and others. We want our kids to live out a biblical worldview. Yet actually living out a biblical worldview is impossible apart from a transformed relationship through Jesus Christ. Neither our young people nor any of us have the natural inclination or power in our human strength to live out “the way” of Jesus—his worldview. That means each of us and our young people must place our trust in Christ and surrender our lives to him so we all can stand strong with deep convictions for the unshakable truths of God. This handbook will provide guidance to lead your young people to such a faith in Christ. Because through a transformed relationship with God they “will no longer be like children, forever changing [their] minds about what [they] believe because someone has told [them] something different or because someone has cleverly lied to [them] and made the lie sound like the truth” (Ephesians 4:13-14). You want to teach and mentor and empower them to think and live as “children of God without fault in a crooked and depraved generation, in which [they] shine like stars in the universe” (Philippians 2:15 niv). The universe is designed in such a way that passing the baton is the only way I can truly experience blessing, fullness, meaning, satisfaction, and joy in life. I may want to believe that serving myself leads to happiness, but my heart knows better. No matter how much stuff I buy, or what kind of house I live in, or where I travel, life only takes on meaning when I live for something bigger than myself. Some books are designed for you to curl up on a couch with them and enjoy a “good read.” Others are reference texts from which you glean specific information. This book is a handbook. The best way to use it is first to absorb it, and then to engage in a long-term process of applying its content incrementally in your own life and in the lives of your children, grandchildren, youth group, or others to whom you wish to impart the faith. This book will present the essentials of the biblical worldview by exploring what we have identified as the 12 basic truths of the faith, which are noted in the 12 sections of this work. The next two chapters will give you an overview of these 12 truths, and then the following 48 chapters will delve into each truth thoroughly. Each foundational truth will be given four chapters. Some chapters will be short and succinct. The first chapter in each section will identify a particular truth and what we as Christians believe about it. 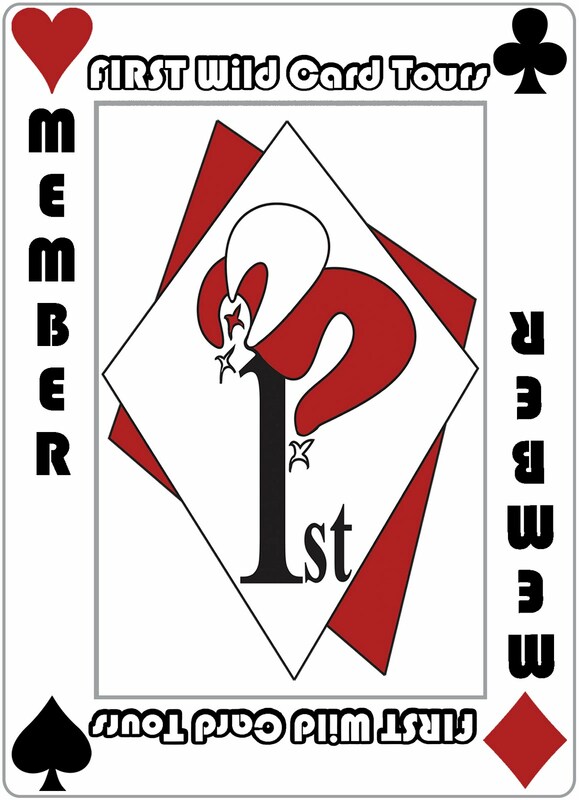 The second chapter will examine why you can believe it with confidence. The third chapter in each section will explore how that truth is relevant to your life. The fourth chapter will offer practical ways to live that truth out in the presence of those around you. As you live these truths out more and more in front of your family and friends you will be better equipped to impart them to others. It is not necessary to read each truth and its chapters in order. There is no problem jumping ahead to a particular truth of interest or to one that applies to an immediate situation in your life. For example, if you are nearing the Easter season you might want to skip to Truth Eight: “Jesus’ Bodily Resurrection.” Or if Christmas is around the corner you might want to go to Truth Four: “God Became Human.” The point is, while each truth of the Christian faith builds off the other, each stands on its own merits. So if a particular time of year makes it more appropriate to address certain truths, or if those around you are raising a certain question that makes focusing on a particular truth more timely, go for it. Eventually, however, we urge you to cover all the truths in this handbook—and to review them more than once. There is a reason God instructed his people to “repeat [God’s truth] again and again to your children. Talk about them when you are at home…away on a journey…lying down…getting up” (Deuteronomy 6:7). No matter how young or how old we are, we will never exhaustively understand the depths and riches of God and his truth. The truths of the faith can become fresh and alive to you again each time you go over them. Absorbing them repeatedly can give them deeper relevance because in the process of filling ourselves with knowledge of his truth we are actually deepening our relationship with a relational, infinite God. We would not mislead you—the McDowells, this father-and-son team, do not claim to understand all the deep truths we present here. Nor have we mastered the Christian life. Far from it. It is important that you realize that we too are on a journey of constantly uncovering the richness of God and applying these truths to our daily lives. The 12 unshakable truths you will discover throughout this handbook are rooted in the Old Testament, even though most of the passages we refer to are in the New Testament. And to help you instill these truths in your family we have adapted three Old Testament Jewish festivals and made them into mealtime celebrations. For centuries Jewish families have gathered around the dinner table to celebrate those festivals God had ordained for them. Many Christians today are realizing the benefits and richness of these festivals in aiding us to better understand the meaning of God’s plan for each of us. So to help you impart the truths of the faith to your family and friends, you will find in the appendixes to this handbook a Judeo-Christian Feast of Unleavened Bread (Passover), Feast of Harvest (Pentecost), and Feast of Tabernacles. These three mealtime events focus on celebrating the God of relationship, redemption, and restoration, which are all found in the sweeping story from creation to God taking on humanity to Christ’s return. We have provided you detailed instructions on how to plan and execute these mealtime celebrations. Take advantage of them. The development of these festivals has been greatly aided by the help of Harvey Diamond and his “Pathways to Glory” interactive devotional. Harvey has done a phenomenal job of explaining all the feasts of the Old Testament and their relevance to today and to the Christian life. Visit www.ariseinglory.org and click on “Pathways to Glory Relational Devotional.” You will benefit greatly from Harvey’s teachings and insights. As you begin your journey, we pray that you will come to know God more deeply, understand your place within him and the world more clearly. And above all, we pray that God will empower you more fully to live out your biblical worldview so you can more effectively impart the living truth of Jesus Christ to your family and those around you. We live in a scary world dominated by pain and suffering, sin and heartache, war and death. But we are not to fear the evils of this world. The only one we are to fear is God himself (see Matthew 10:28). We serve a conquering God who is working in you and me to transform the present kingdom of this world into the future kingdom of God. It is an honor to engage in this mission with you. Let the journey of unlocking the unshakable truth of God begin. Well-said! This is indeed a great resource. I’ve read some of Josh McDowell’s other books. He does have a ift for explaining some of these things.